Death and Dying with Dignity – Dwonna Know What I Think? I believe that suicide is wrong, but the 29-year-old woman in Oregon who chose to end her life last week has made me question my rigid belief. What are your thoughts about this? Here’s a little bit of background for those who don’t know the story of Brittany Maynard. 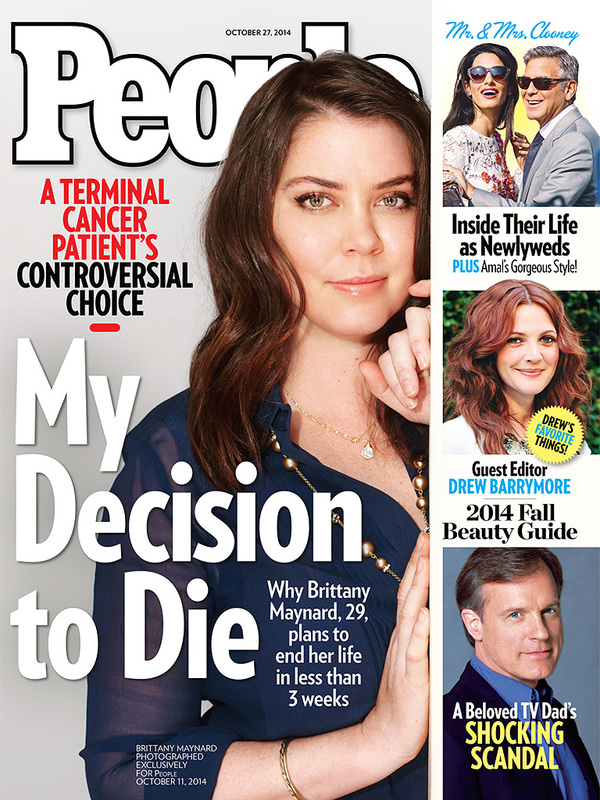 Yes, doctors told Brittany Maynard that there was no cure for what she had and that she was going to die, and she had every right to decide for herself to die with dignity sooner rather than wait for a painful—but natural—death later. I pray to God, Jesus, Mother Mary, Buddha, and all of my guardian angels that I am never so sick as to have to make the kind of decision that Brittany Maynard did. I am grateful that I am healthy, and I pray that I always stay this way. I’m not willing to judge Maynard’s decision to end her life surrounded by her loved ones when the pain became too much because I’m not the one dying of brain cancer. May we all have the courage to die with the grace and dignity that Brittany Maynard had, and may she now rest in peace.